Aasiya Faris Sachwani and her daughter Mahum are the Founders of ‘Humsay Apko’ a community initiative to bring happiness in the lives of hospitalized children. 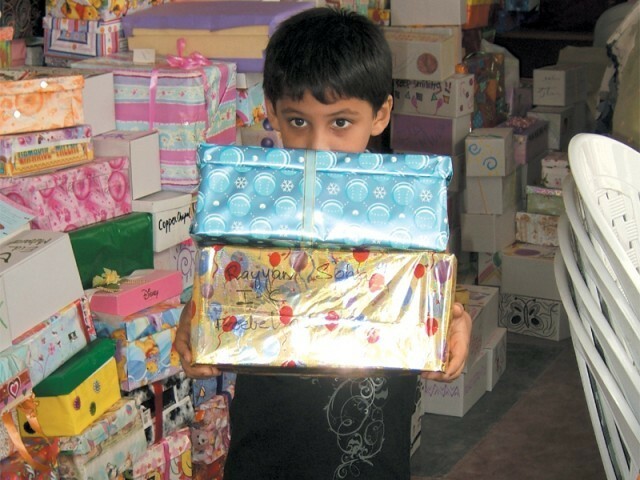 For 6 years, with the help of family and friends they have been distributing Eid gifts to underpriveledged children in Civil Hospital. Aasiya’s daughter discussed the idea with her friends in the kindergarten section of Karachi Grammar School (KGS). Mothers became interested and the principal decided to pitch in, turning it into a school volunteer project. The project had a life of its own, spreading to The Lyceum School, Indus Academy and Froebel’s Education Centre by the next year. Definitely Salman! Its an all round great initiative. Good activity for the kids and such a great cause at the same time.